Lucky 13 for flood defence scheme! A flood defence scheme carried out by Team Van Oord on behalf of the Environment Agency has scooped its 13th award in the past 12 months. The latest accolade for the Medmerry Managed Realignment Scheme in West Sussex came in the CIPR Pride Awards for the south of England, which were presented on 21 November. 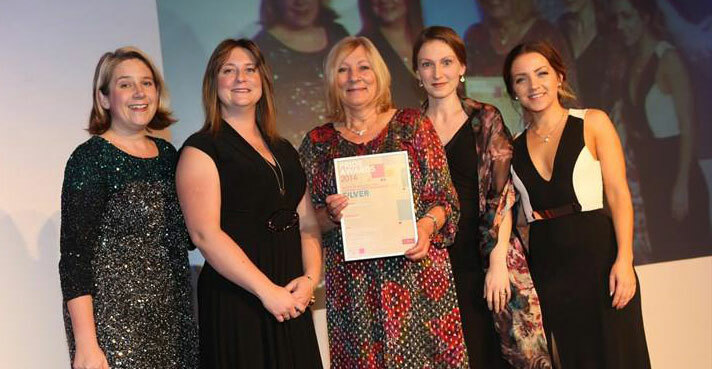 The PRide Awards recognise and reward the work of leading public relations teams and other organisations, with the winners announced at a series of UK-wide events. Nationally, the 2014 CIPR PRide Awards received around 1,100 entries from across the UK. The CIPR South of England and Channel Islands PRide Awards cover Bristol, Cornwall, Dorset, Devon, East Sussex, Gloucestershire, Hampshire, Isle of Wight, Kent, Somerset, Surrey, The Channel Islands, West Sussex, and Wiltshire. The Medmerry scheme received a silver CIPR award in the Community Relations Campaign category. This is the second award the scheme has received during November 2014, and the 13th in the past 12 months. Aware that local residents doubted that a managed realignment scheme would work, the project team set up the Medmerry Stakeholder Group (MStAG) to involve the local community in the project. Comprising representatives from local authorities, parish councils, businesses and other local interest groups MStAG channeled input from, and fed back decisions and information to, the local community. Jacqui Bandy, marketing executive for Team Van Oord, said: “We listened to concerns from the wider community. Working with them enabled us to include and deliver local development opportunities. “On MStAG’s advice we included a network of new footpaths, bridleways, viewpoints and car parks in what is now the new RSPB nature reserve at Medmerry. ‘We also employed a dedicated public liaison officer who proved invaluable in managing the large number and range of stakeholders. “Our communications approach centered around digital media with regular e-updates distributed to more than 500 recipients, a dedicated webpage for scheme information and links to Flickr and YouTube.